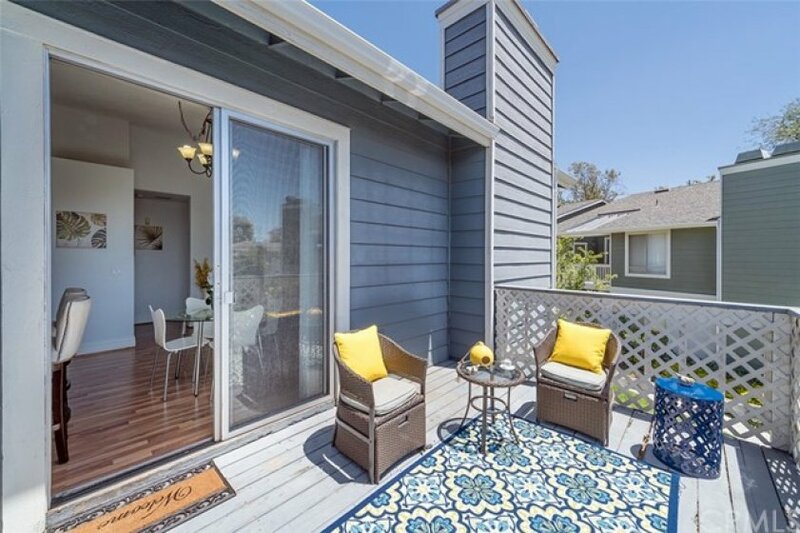 Located in the gated community of New Chase, this beautiful end unit condo is in a great location towards the back community and has stunning upgrades throughout! Kitchen has been extensively remodeled with new modern quartz counters, new stylish, soft close custom white shaker style cabinetry, custom stainless steel hood, and new stainless steel appliances. The breakfast bar opens the kitchen to the dining area and living room where you're greeted by vaulted ceilings and an abundance of natural light through large windows and sliding glass door leading to balcony with large storage area. Living room boasts laminate wood floors, and inviting subway tiled fireplace. 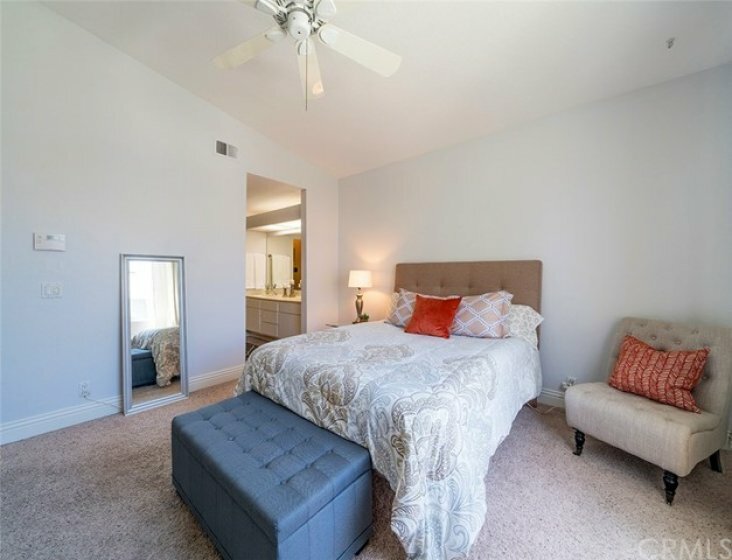 Both bedrooms are well-sized with vaulted ceilings and ample closet space. 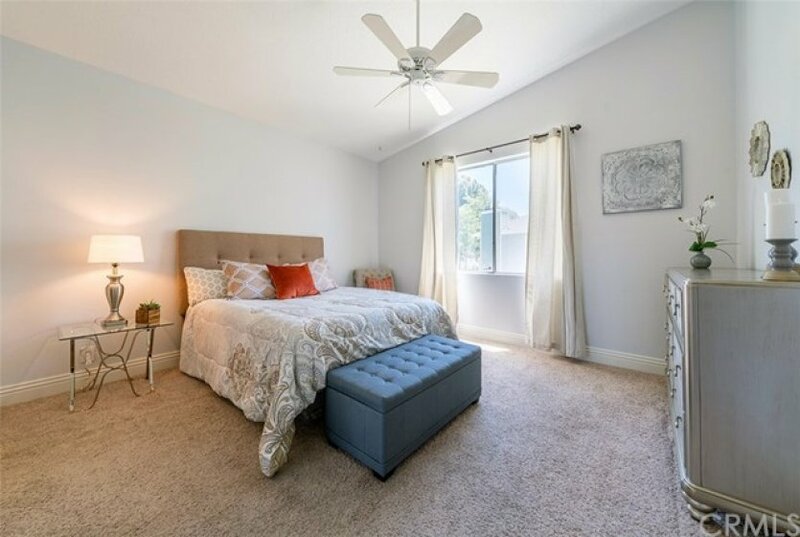 The master bedroom has views of the spa, attached bathroom with dual sinks, and a must-see walk in closet with custom shelving! Other features include inside laundry, newer designer style paint, baseboards, and central AC & heat. Quiet community with pool and spa in great location close to schools, parks, golf courses, shopping, and dining! Listing provided courtesy of Ari Mastorakis at Coldwell Banker Res Brokerage.